Christmas and New Year came and went in the fog of a well-made gin and tonic and the mere blink of an eye. Our family visitors have now left Canada and arrived safely back in a wet and dreary UK and life carries on as normal. It has been a truly amazing three weeks and I am a little sad that my house is now so quiet! So, 2016! Is it New Year, new you? Is it lists of ambitions to be realized and challenges to be fought? Could it be a leaner, trimmer, fitter you? In 2016 I have decided that I am pretty happy where I am! Yes, I could loose a few pounds, I could have a "dry" January, I could only eat super foods, I could plan to run a marathon and the list could really go on and on! Pick up my saxophone- it really has been too long! Improve the chicken accommodation for more residents- fresh eggs anyone? 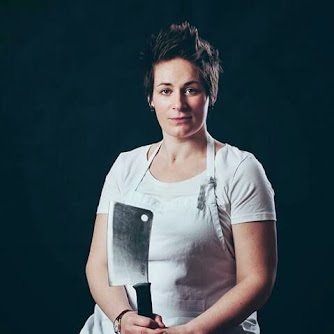 Use this little blog space to teach you lovely people how to do more meaty things- time for my profession and my hobby to meet in the middle! One of the new additions to our Canadian life is the hubby has started hunting. Pause for angry comments and the "OH, HOW BARBARIC!" Save it for another blog! We eat meat here and given the choice I would come back as wild animal every day of the week. Just think about it, you have the best life ever and then one bad day. Compare that to that sad chicken you just bought from the store, I know what I choose. 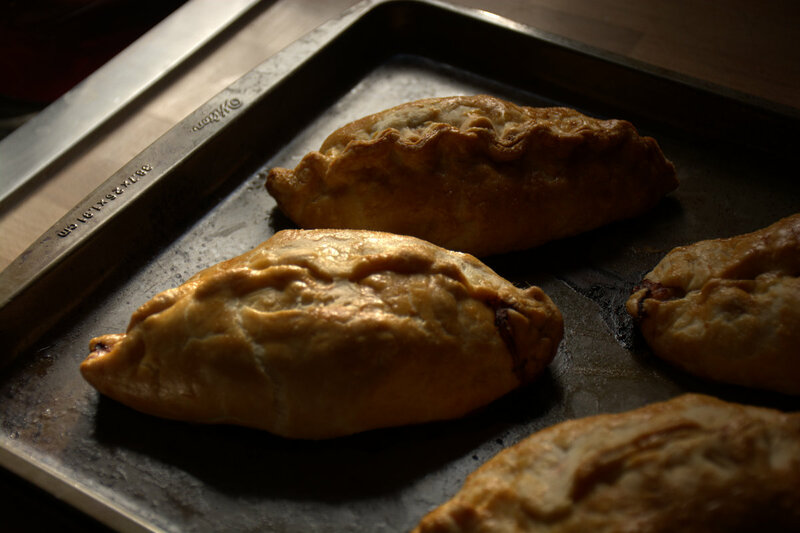 A pasty is a baked pastry, traditionally associated with Cornwall, in the United Kingdom. 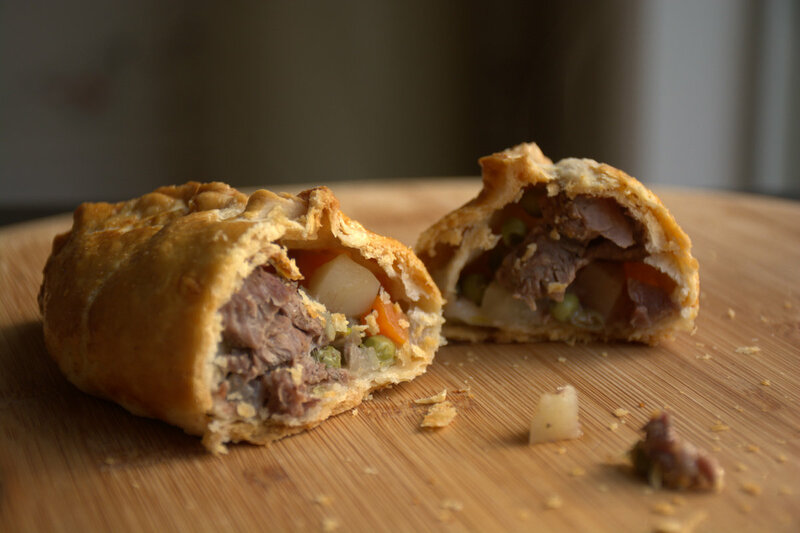 It is made by placing an uncooked filling, typically meat and vegetables, on one half of a flat shortcrust pastry circle, folding the pastry in half to wrap the filling in a semicircle and crimping the curved edge to form a seal before baking. One of the rather challenging things about having a hunter in the house is the massive influx of meat you have if your hunter is successful. This season I have had the pleasure of butchering two deer and one moose. That's a lot of meat! I hope that on the blog I can help the hunter households find good ways of using that meat. This is the perfect place to start. 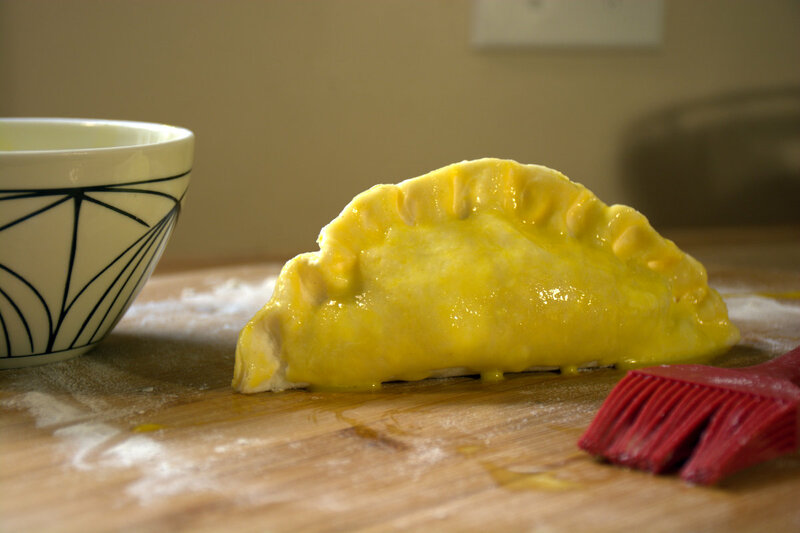 Rub the butter and lard into the flour with a pinch of salt using your fingertips, then blend in 6 tbsp. cold water to make a firm dough. Cut equally into 4, then cover in plastic wrap and chill for 20 mins. Heat oven to 220 C / 420 F.
Mix together the filling ingredients with 1 tsp salt. Roll out each piece of dough on a lightly floured surface until large enough to make a round about 23cm across – you can use a plate to trim it to shape if it helps. Place a quarter of the filling in the centre of each round, leaving a margin at each end. Brush the pastry all the way round the edge with beaten egg, carefully draw up both sides so that they meet at the top, and then pinch them together to seal. Lift onto a non-stick baking tray and brush with the remaining egg. Bake for 10 mins, then lower oven to 180 C/ 350 C and cook for 45 mins more until wonderfully golden. Eat whilst warm if you can, but they are still pretty awesome cold for lunch the day after. Happy start to 2016 everyone, I hope its a fab one for you.